Zelfs are one of the biggest collectable crazes of recent years with the cute little hairy figures which look so similar to the trolls I remember from my childhood. With five series of Zelfs already released the brand new sixth series is due on sale from the end of July. To celebrate the new series a brand new limited edition Zelf has been released. 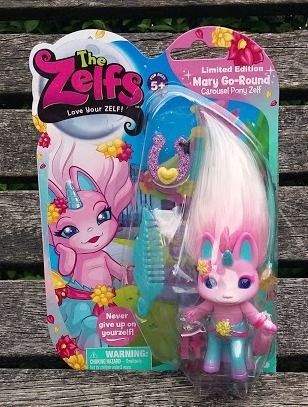 This is a real money can't buy Zelf as the only way to get your hands on one is to spend £30 on the rest of the Zelfs range. 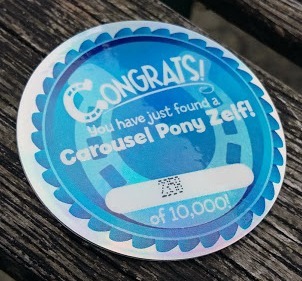 Only 10000 of the Carousel Pony Zelf have been produced and the UK only has 400 of these so owning one is very special! LM doesn't actually own any Zelfs at the moment but she does love anything with hair to style, and if it looks like a horse or a unicorn, so much the better! 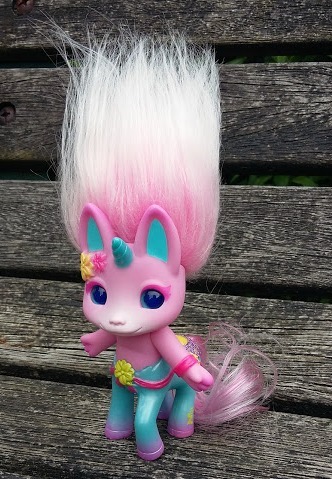 The Carousel Pony Zelf is a lovely unicorn Zelf in a pretty pink and turquoise colourway, she has fluffy pale pink hair and curly long tail and LM is completely delighted by her! 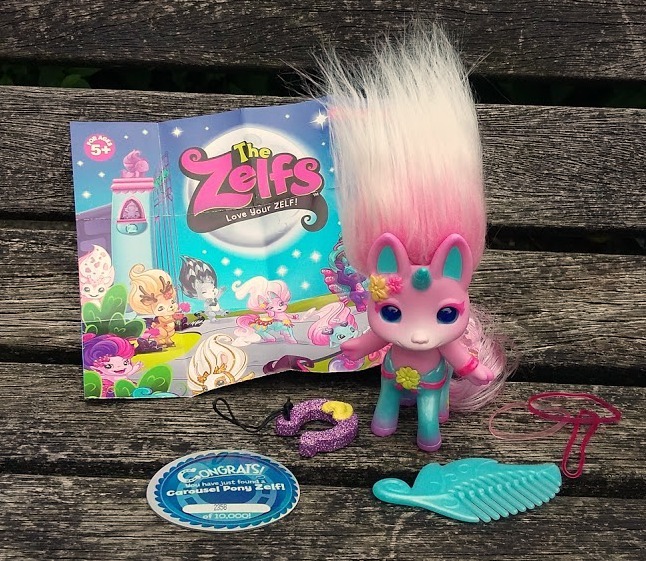 Carousel Pony Zelf arrives with three hair bands and a comb (great for styling her hair and tail), a sparkly purple horseshoe charm and a disc showing which number of the edition your Zelf is. 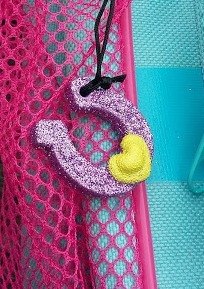 LM quickly asked for the horseshoe charm to be placed on her backpack and it was really simple to just loop this through the zip. Although she's only small the Carousel Pony Zelf is really lovely to play with. Her head and arms move and she has some really pretty flowers and saddle details. 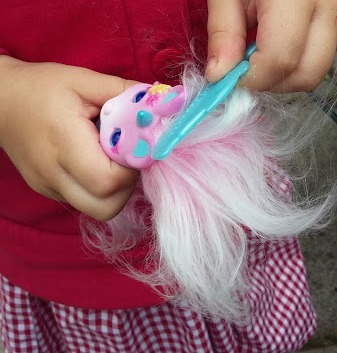 She and LM have been inseperable since she arrived and I can often find her combing the Zelf's hair and tail. If you'd like your own Carousel Pony Zelf then you can claim one for free from here with £30 of 2016 receipts showing Zelfs purchases. To keep up to date with all of the Zelfs news, why not join the Zelfs Club?